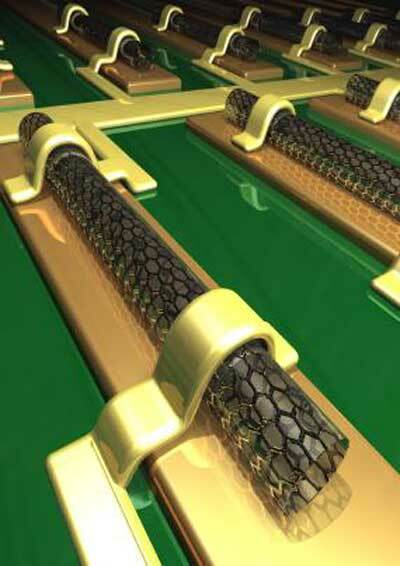 Description: This illustration shows a future logic circuit made from carbon nanotube transistors, aluminum electrodes and gold contacts. © Copyright Technology Research News, LLC 2000-2008. All rights reserved.